Send PDF submission via FTP? Hi, Does this option still work? To have it sent to an FTP as a PDF? Yes, this works, although there's a workaround we need to do because the FTP submission only allows the form when it has a file upload field. Here's what I did. 1. 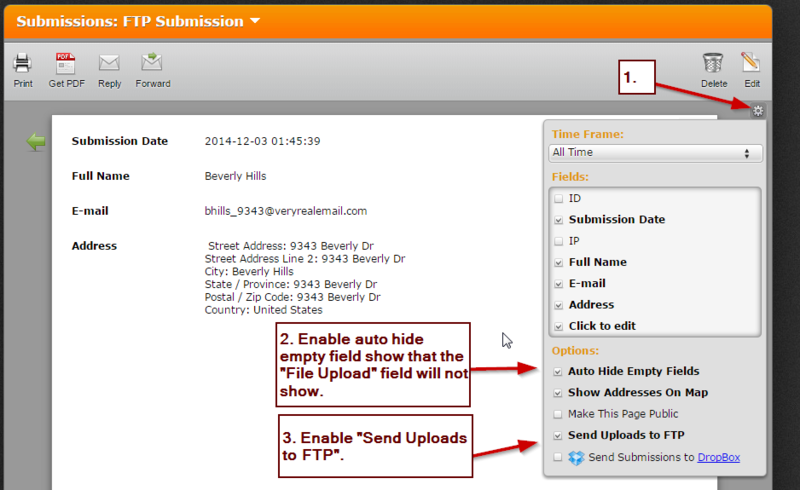 Add a "File Upload" field so that we can enable the FTP submission option. I hid mine because I don't really need to collect any uploads from the user. 2. 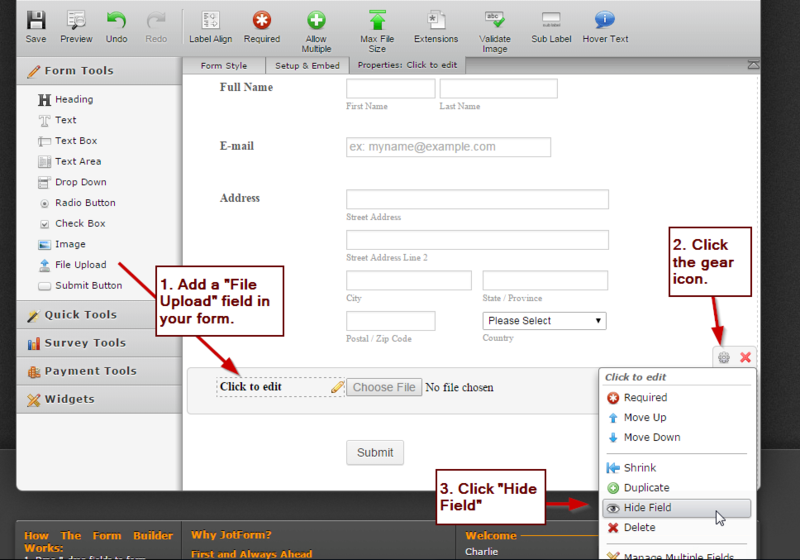 Navigate to "My Forms"->Choose form->Click Submissions. 3. Click the gear icon for the settings. Enable the "Auto Hide Empty Fields" and "Send Uploads To FTP". 5. You will then see in your FTP server that the submission is in .pdf file.